Comments: It has yellow stripes occurring primarily on the sulcus of some of the culms. It grows satisfactorily in heat and can tolerate dry conitions, but grows best in partial, light shade with plenty of moisture. 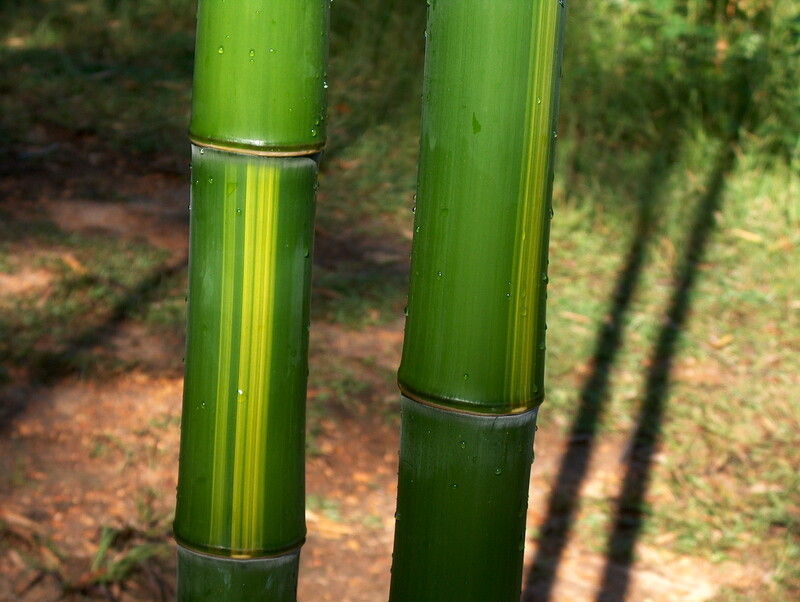 Remember, this and other running bamboos DO RUN. Be prepared to confine them in an area with barriers in the soil, else established plants can spread 20 or more feet in just a couple of years.